As we are the biggest agent in handling clubs and national teams coming to the island, mainly football teams we have been proud hosted to the National Teams of countries like Belgium, France, Germany, Greece, Holland, Spain, Iraq, North Korea, Portugal, Russian and Wales. Practically every club that has been coming to Cyprus, for European League and Champions League matches, was looked after by our team in the last 30 years. These include big names like Real Madrid, Athletico Madrid, Barcelona, AC Milan, Inter Milan, Liverpool, Bayer Leverkusen, Juventus, FC Porto and Ajax and also less known, but equally important teams like FC Farul, Kickers Offenbach and Young Boys. Suncare Travel, a travel agency well known for the organisation of Sporting Events in Cyprus such as the Aphrodite Cup Tournament. 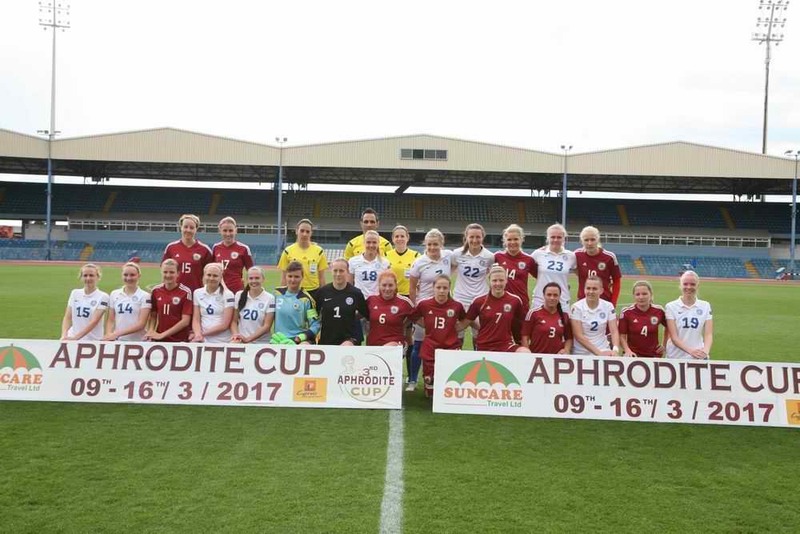 The Aphrodite Cyprus Cup is a tournament of National Women’s teams organized by UEFA in cooperation with Suncare Travel in order to promote and develop the Women’s football. Teams participating the last 2 years came from Azerbaijan, Bahrain, Estonia, Greece, Israel, Latvia, Lebanon, Lithuania, Malta and United Arab Emirates. We plan and organize your football tournaments requirements to make sure that all teams have the ultimate football experience. We create a pleasant, memorable and competitive football experience for football teams to make sure that their trip will meet all their expectations.